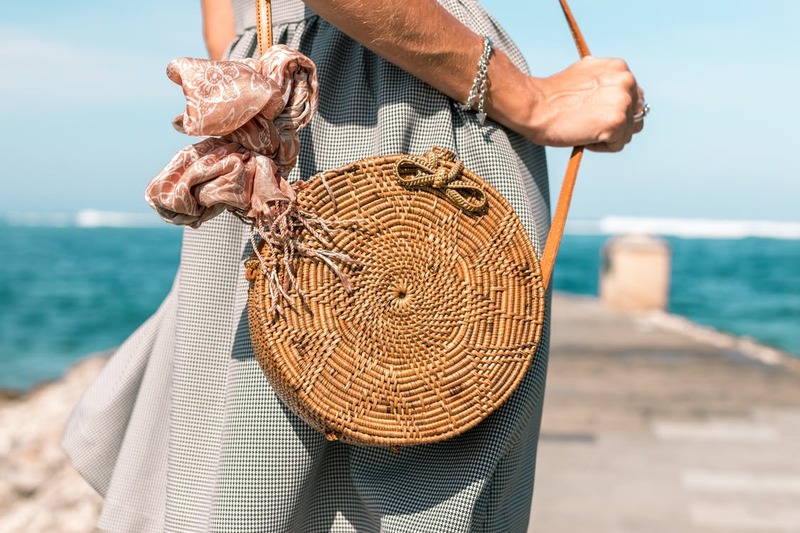 Summer usually calls for a complete overhaul of our wardrobe, but sometimes we neglect to consider what we put in our handbags. Sun and hot temperatures can damage your skin, so you should try to ensure that you have the essentials at hand when you’re out and about. In the summer, along with your natural tanning products, sunscreen should be added to your morning beauty regimen. However, it doesn’t last all day, so if you’re going to be out all day, you’ll definitely need to reapply. Invest in a smaller size tube of your favourite sunscreen and keep it in your summer handbag so you know it’s always there when you need it. Your lips are one of the most vulnerable parts of your face all year round. In the winter, they need to battle against cold winds, and in the summer it’s easy for them to become dry from overexposure to the sun. A basic lip balm with SPF protection can fit in the smallest of bags and is easy to reapply throughout the day. A packet of pocket-sized blotting papers will be your best friend when you need to wipe away any excess oil and reduce shine. The great thing about blotting papers is that they can double, and even triple up, as other useful products. Use a sheet to help your makeup stay put, or even to dab up any excess oil in your roots that may be making your hair look greasy or dull. While blotting papers can do the trick, sometimes you need to start your makeup from scratch. After a long day in the sun, you’ll be thankful for a product that you can use to refresh yourself so that you can go from day to night without that feeling of patchy foundation or clogged mascara. Hydration is important all year round, but especially in the summer months when the temperature rises. Having a reusable water bottle in your bag won’t only save you money, but you’ll be doing your bit to reduce the amount of plastic that’s polluting the oceans. You can easily fill it up at work or in public restrooms when you’re on the go. Look for something made from BPA-free stainless steel to keep your drink cooler for longer. Hope you’re having a fantastic summer so far!